Training Industry Inc. is excited to announce the training industry’s newest and most prestigious 'individual' award, "Top 20 Training Industry Influencers". Click here to nominate your favorite training industry influencers. The iPhone will NOT start a mLearning revolution! A revolution or a revelation? A lot of eLearning blogs have touted the new iPhone as the beginning of the mLearning revolution. 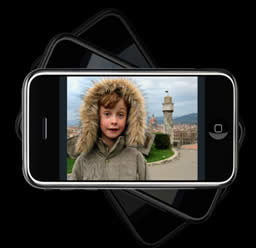 It is true, the iPhone represents a beautiful and powerful package that could be used for mLearning. From a quality browser, to decent memory & podcasting, the iPhone does bring us closer to the ideal mLearning platform. The hoopla around the iPhone reminds me, in no small part, to every mLearning conference I've attended over the past five years. From more powerful PDAs, the $100 laptop, the iPod, to SmartPhones, every speaker has always touted the upcoming mLearning revolution. In the past, I have discussed how the mLearning revolution is already happening, only it has, like it's generation's (X) early adopters, rebelled against being labeled. So what will cause a true mLearning revolution? In my opinion, the answer doesn't lie in the next groundbreaking device but in our attitude towards learning. We are failing because we are waiting for the next technology or the next breakthrough to help us reach our students better. This is like the proverbial not seeing the forest through the trees. The change in attitude must come not from waiting or wishing for the next technology breakthrough but in understanding our learner's current situation and adapting to that. According to a 2006 article in Telecommunications Online, 30 Countries Passed 100% Mobile Phone Penetration in Q1 06. It is staggering to think the population throughout the world that has mLearning devices already in their hands, yet we as eLearning experts are still waiting for the next breakthrough. It is always tempting to 'think big' with grandiose plans in an ideal world of fully immersive eLearning content being made mobile. While we are 'thinking big', the revolution is marching past us in small steps. Will you be left behind while you wait for the future? The way that we live, work, play, and learn is being impacted by the increasing mobility of our society. As educators and learning innovators, it is our responsibility to design for the needs of our changing audience. In this session we’ll examine key trends, design techniques, and technologies that are fast emerging to meet the challenges and changes of today and tomorrow. How do we design for stolen moments of learning, rather than entire classes? We’ll explore worldclass examples of mobile learning (mLearning) from academia, government, and industry. Learn how to stretch the boundaries of learning technology to include not just eLearning, but mLearning. Note: David's presentation doesn't start until 14 minutes into the presentation.